Formerly called Cuvee Nicolas, this wine was my first vinified wine upon returning home after my studies and a few weeks of vinification in a region near ours and world famous for this great red grape variety. Growing on a selection of the two most beautiful plots of Pinot Noir in Ergersheim and Avolsheim, producing small quantities but high quality! 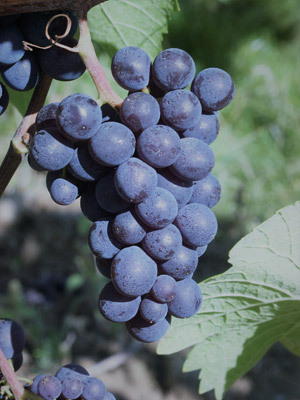 These grapes are macerated for two to three weeks to produce a structured red wine. The wine is then aged in 228L Vosges oak casks for 10 months. In order to get a Pinot Noir, which is fruity and not overly woody, each year I add just 20% of new oak barrels. The wine is a beautiful ruby red colour. Aromas of raspberry and black cherry with hints of vanilla, grilled notes and slightly woody. The mouth is full with high-quality tannin. For drinking from the end of 2014. Wine with ageing potential! Food and wine pairing : Red meats, light game meats, cheeses.